Eric Holt-Giménez is Executive Director of Food First, also known as the Institute for Food and Development Policy, which the New York Times has called one of the country’s “most established food think tanks.” Food First works to end the injustices that cause hunger through research, education and action, and has published over 60 books exploding commonly-held myths about hunger and food production. Eric will speak about the global impact of the disappearing public sphere through the lens of access to farmland and the role he sees for community ownership of land. He is a compelling speaker and sure to enliven discussion of how engaged citizens can create their own food security. His talk is based on a chapter from his forthcoming book, What Every Foodie Needs to Know About Capitalism. Of Basque and Puerto Rican heritage, Eric grew up milking cows and pitching hay in Point Reyes, California, where he learned that putting food on the table is hard work. After studying rural education and biology at the University of Oregon and Evergreen State College, he spent 25 years in Mexico and Central America, where he was drawn to the simple life of small-scale farmers. 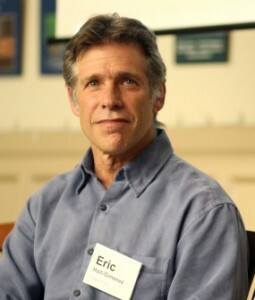 Among his many accomplishments, Eric is the editor of the Food First book Food Movements Unite! Strategies to Transform Our Food Systems; co-author of Food Rebellions! Crisis and the Hunger for Justice with Raj Patel and Annie Shattuck; and author of the book Campesino a Campesino: Voices from Latin America’s Farmer to Farmer Movement for Sustainable Agriculture. Please join us Saturday, March 21st at 7:00 pm at the First Congregational Church on Main Street in Great Barrington, Massachusetts for the Community Land Trust Annual Meeting and Board Elections followed immediately by Eric Holt-Giménez. The Community Land Trust in the Southern Berkshires was founded in 1980 to hold land on behalf of the community for homes, farms and businesses with the goal of ensuring permanent access, control, affordability and environmental stewardship. Control of strategic land assets for workforce housing, food security and community supported industry is essential to our regional sustainability. The Community Land Trust is an open, democratic membership organization. We hold 49 acres of land, including 23 homes and Indian Line Farm, the first CSA in the U.S. Founded in 1975 by Joseph Collins and Frances Moore Lappé, author of the revolutionary best- seller Diet for a Small Planet, Food First celebrates its 40th anniversary this year. In addition to celebrating its rich legacy, Food First’s 40th Anniversary activities will highlight the challenges ahead and the work yet to be done to create healthy and sustainable food systems. For more information on special events and publications, visit foodfirst.org throughout 2015 or contact Development Director Alexandra Toledo at atoledo@foodfirst.org or telephone (510) 654-4400, ext. 221. Watch this video of Eric Holt-Gimenez speaking passionately about the global economics of farmland at the Our Land Symposium, April 2014 at UC Berkeley, presented by Agrarian Trust, a project of the Schumacher Center for a New Economics.